Use our Curb Ramp instead of wood block to traverse curbs or steps. Lightweight, yet strong. Measures 23″ long by 13.5″ deep by 6″ high. 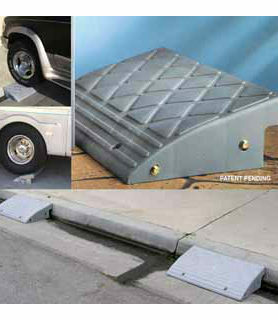 Curb ramps may be bolted together for added length. Use with autos, boats, trailers and motorhomes. Curb ramp weighs 9 lbs each.